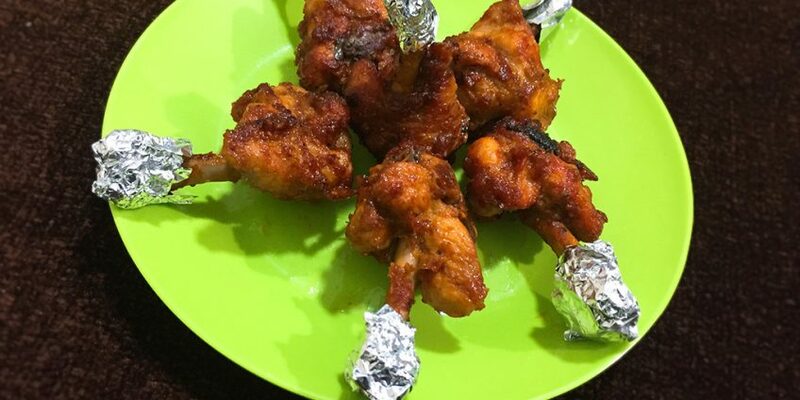 Crispy Chicken Lollipop is a popular starter recipe made by deep frying chicken lollipops marinated with ginger, garlic, soya sauce and red chili sauce. A succulent treat for your parties and gatherings. Due to its name and crispiness kids love it very much. A perfect choice for Ramadan iftar starters. 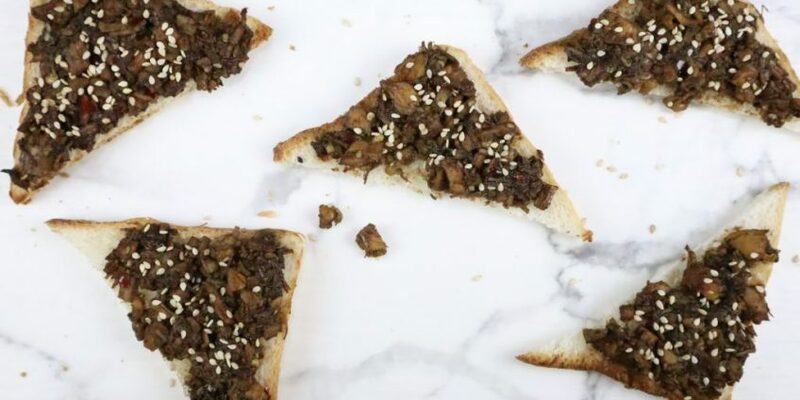 You can include them in your Ramadan Cooking Schedule. Crispy Chicken Lollipops are very famous in our home. It is made once a month in our house. 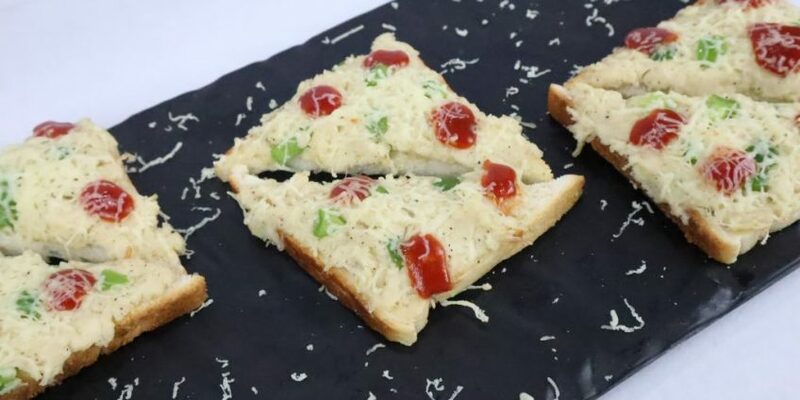 Sometimes with evening tea on Sundays or a starter for dinner. 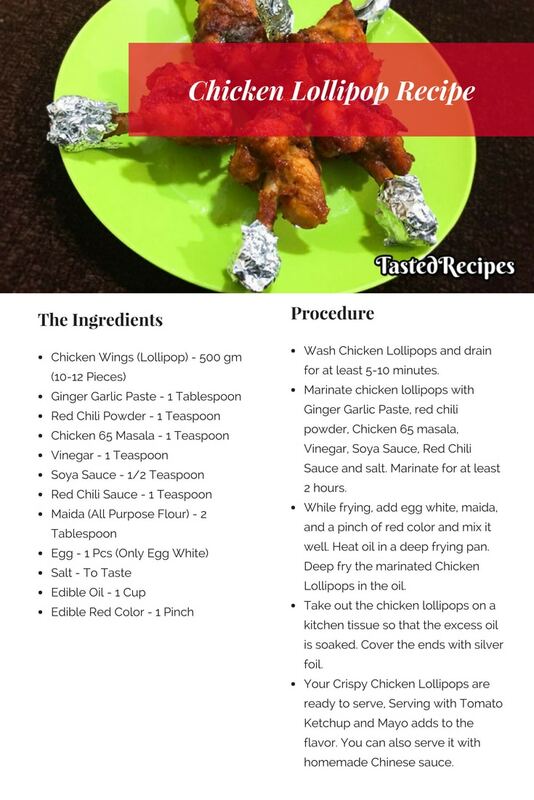 You can also try our Appetizing Chicken Lollipop Recipe posted earlier on our website. Wash Chicken Lollipops, and keep it aside to drain for at least 5-10 minutes so that the water completely drains. Tip: The water for Crispy Chicken Lollipop must be completely drained so that the ingredients stick on chicken properly. Marinate chicken lollipops with Ginger Garlic Paste, red chili powder, Chicken 65 masala, Vinegar, Soya Sauce, Red Chili Sauce and salt. Keep it aside for at least 2 hours. The longer the marination the easy it will be to cook. At the time of frying, add egg white, maida, and a pinch of red color and mix it well. Heat oil in a deep frying pan. Deep fry the marinated Chicken Lollipops in the oil. 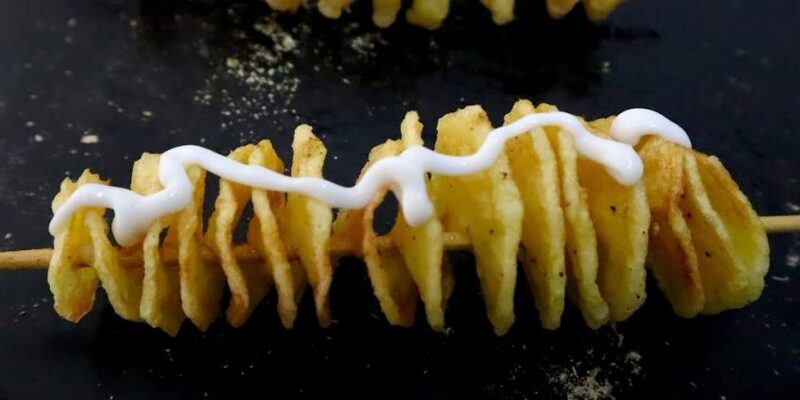 Fry for at least 4-5 minutes to get desired crisp. 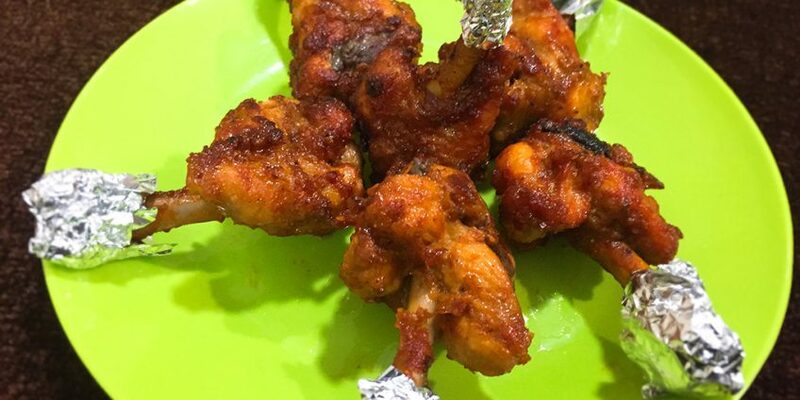 Take out the chicken lollipops on a kitchen tissue so that the excess oil is soaked. Cover the ends with silver foil so that your hands don’t get dirty while eating. Your Crispy Chicken Lollipops are ready to serve, Serving with Tomato Ketchup and Mayo adds to the flavor. You can also serve it with homemade Chinese sauce.